Playing Bike Games and Car Parking Games Online games can be a source of recreation and happiness when you play the best among them. There are several games resources online. However, you need to play with the best platforms. Dailybikegames.com is indeed one of the best resources you can always rely on when looking for quality online games. Bike games are among the best games you can play when you visit Dailybikegames. They are quality animated games that can keep you happy all day long. You have a lot of varieties to select in the bike games category. Such as: Racing Games, Monster Truck Games, Bmx Games, Motorcycle Games, Parking Games, and a lot more. At Dailybikegames, you have a lot of game options to choose from. All you need is to create time to play them. 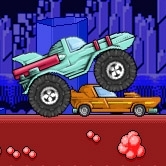 For example Car Parking Games under this category, you'll find games such as Truck Parking, Parking Lot, Glamour Parking, Park My Convertible, Parking Challenge, Parking Perfection, and a lot more. Plus, You don't need to download them before you can start playing. You simply play them directly on the games website. You can enjoy the games alone or in the company of your friends and loved ones. You'll always be very happy when you play them on regular basis. The online games are available for free! You don't need to pay a dime to play them. You'll always enjoy the unique features of the online games this is beacuse of the color combination used in designing them is also very unique.What then are you waiting for? Why not hook up online and start enjoying the best of the online games today? Copyright © 2013. All logos and images used on this website are registered trademarks of their respective companies. All Rights Reserved. There are 3 Users online; and 616 games played Today.